I recently had the opportunity to design a mural for a team of car collectors in Ft Myers. 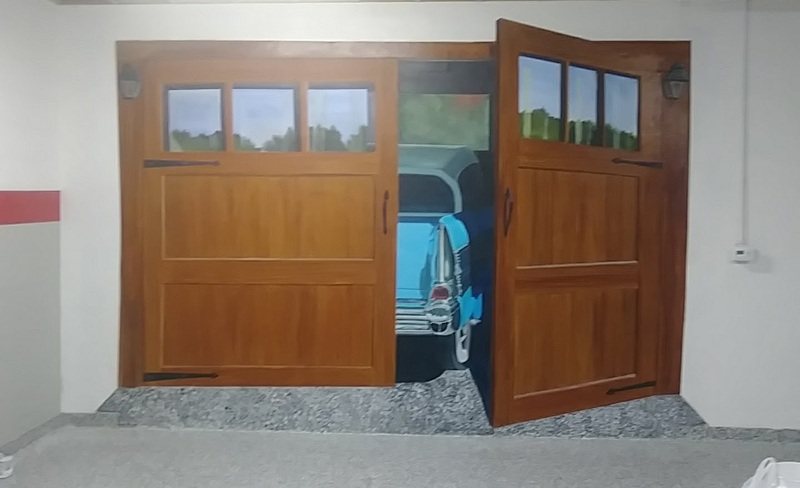 The idea was a series of garage doors, and we added in an open door revealing a 57 Chevy. The size was 14 feet long by 9 feet tall, which gave us the ability to make the 57 Chevy mural life sized. It also gave me the opportunity to paint it on canvas and install it onsite. This was more convenient for the client, and gave me the freedom to use different techniques that are not practical onsite. 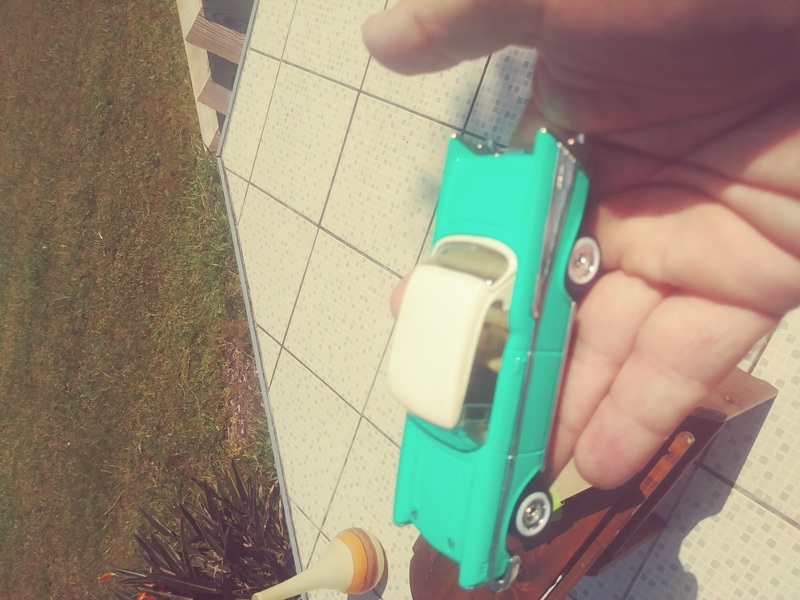 For a reference, I purchased a scale model of a 57 Chevy, which was much more accurate than working off a series of photos. I could adjust the lighting and shadows to more accurately depict a 57 Chevy. If I were to use a series of photos, the lighting would be different and the shadows would fall into the proper place. Next I photographed the car in a small carboard garage I built. This gave me all the proper shadows and highlights I needed. From that I was able to paint the majority of the mural in my studio, and then installed on site!